2/7 from the 7 menu list item where great. Other items where standard. I was expexting more wau feeling from the food itself. Of course the view was great, but I was expecting also more than average level food as well for price range. We loved every minute of it! A very special place where everything is as it should be. Well done. Lovely evening we would definitely return. Wonderful experience from the time we walked in the door to when we left the restaurant. Excellent food, service, and atmosphere! I’ll be back for sure. The dishes were not really up to the expectations we had. We thought the food would deliver more tastes and flavors. We had really good wine and good help on the local grapes. The atmosphere is great and fun in the summer with the pool. Will be back for drinks. Best food with best view!???? Overrated. Food was good but definitely overpriced. The view is ok...but the street is quite noisy. 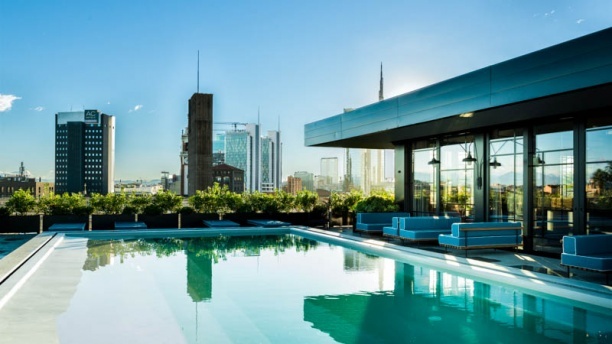 For the same price one can get much better experiences in Milan. And one last thing: not family friendly and not easy to access with stroller and wheelchairs. Not a place where I would go back too. Nice welcome, good table and a great meal overall with a very helpful server. Our only problem with the restaurant is that it is a little bit too much of a "scene" for us--the loud music was stronger than what we prefer. Our feeling is that even though we would want to return for another meal, we would not book again due to this atmosphere.